It’s official: The most destructive wildfire in Colorado’s history was finally contained near Colorado Springs, Colorado. During the Huffington Post’s article on 7/11, there were still small pockets of smoke rising from the inner fire circle, but since then rains have extinguished the last of the flames. An unbelievable 29 square miles of wasteland are all that remains after the tragic fire ravaged the scorched earth, a federal report claims. The burn left 2 people dead, bringing the death toll due to forest fires in Colorado this summer to 4. More details HERE. Quite a scary phenomenon, since our homes are supposed to be a safe haven against all intrusions. 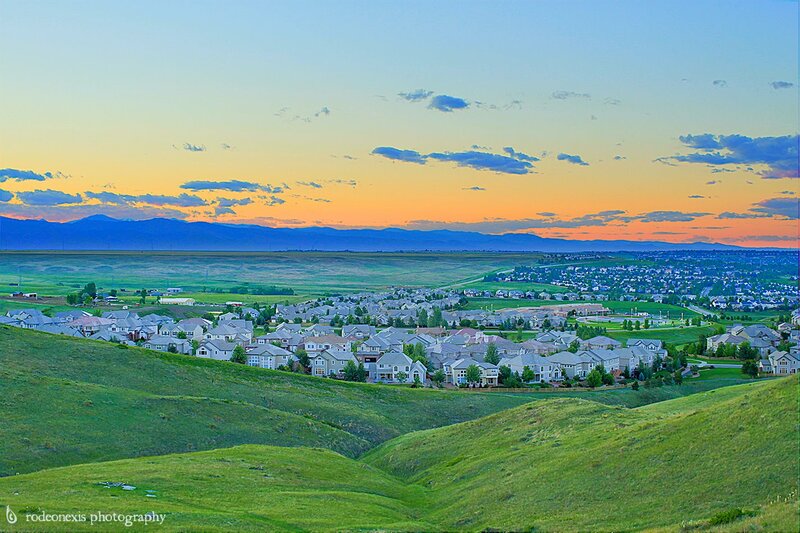 An image of suburban homes outside Broomfield, CO. July 2011 was a much safer time when fires stayed in the sky. It seems like an obvious statement to allege that there’s only so much we can do to combat or contain Mother Nature’s wrath. But in places like Colorado, wildfires depend on snowmelt so much, it can be a serious guessing game. The Colorado Rockies had a record breaking late spring in March 2011, and rivers were swelling with snowmelt. But as you can see from the photo above, suburban housing developments sit in tight quarters along the front range. One spark after a poor snow year could send city dwellers running for the plains. All in all, I ask you this: what has been the cause of all this destruction, and how can we prevent it in the future? There’s little we can do to stifle natural fires, but what about zoning for homes in and near the mountains? How do recent events effect our water consumption habits? And lastly, how will these events effect our overall experience in one of the fastest growing cities in the United States? I guess only time will tell.